Originally called the Fishers Island L-Class. 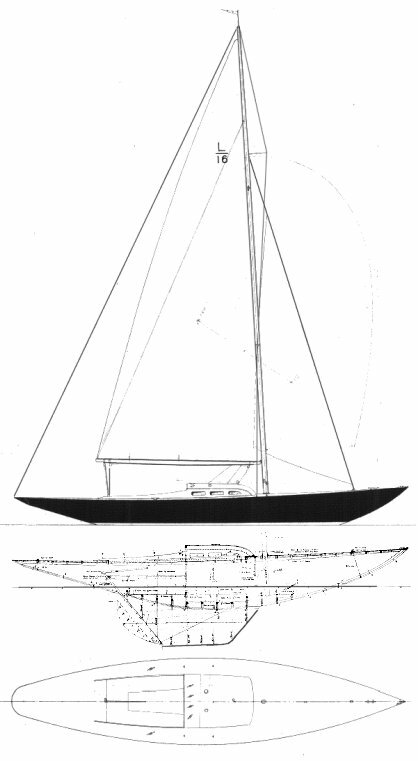 The very first boats (14) were of conventional planked construction from the Luders Yard for the Fishers Island YC. Most of these were destroyed in a hurricane after the very first year. 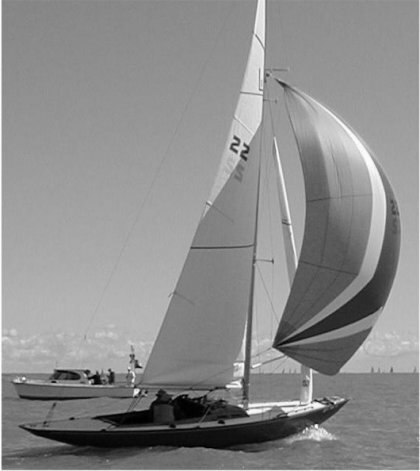 After World War II orders came, first from the Chicago YC, for a new version, built of molded plywood. It is thought more than 100 of these were built. In the 1960's and 70's, a fiberglass version was built by Continental Plastics Corporation, then by Midwest Marine and Easterly Yachts.